• Not suitable for hot drinks. These handy white plastic disposable cups are convenient and great to have on hand for parties, buffets, picnics or in the office. 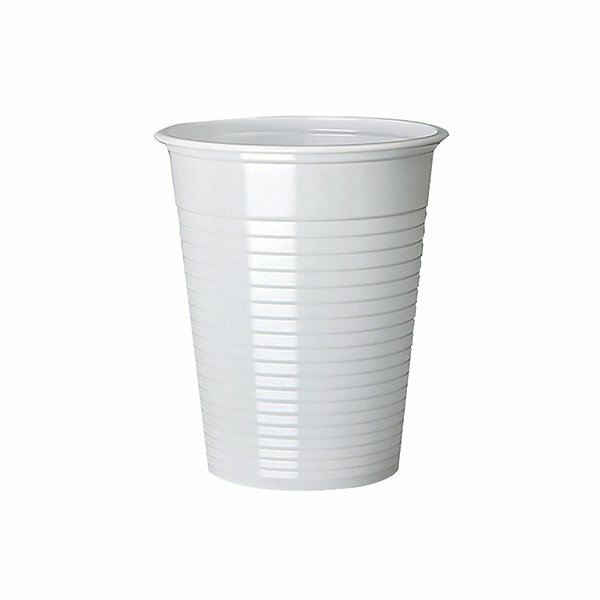 The disposable cups save on washing up, and can be discarded easily, making them ideal for large functions or frequent use. The strong plastic has a ridged edge for easy grip and a smooth, curved rim for increased safety. Suitable for cold drinks only, the cups offer fantastic value for money.